Are we heading toward armed confrontation with a nuclear power? 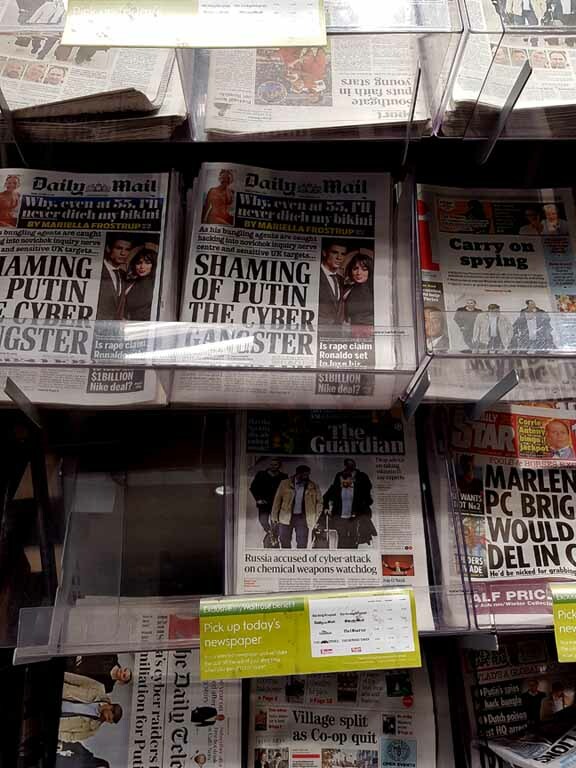 All the signs point that way, not least the unity of our so-called free press – see my recent review of Propaganda Blitz – in declaring Russia a rogue state. The chutzpah of such projection is breathtaking when by any number of metrics – third world countres invaded/bombed/Tomahawked/terrorised by proxy … flagrant breaches of international law … for-profit arms spend … subversions of democracy in parts of the world (i.e. most of it) of interest to Washington – the powers most given to making this accusation are themselves clear contenders for the title. Most egregious of those powers being Britain, France, Israel and above all a US whose Project for the New American Century – with its concomitant thirst for Full Spectrum Dominance – have brought death and misery to millions, ruined once prosperous nations, and made the world a far scarier place. Maps help. Here are a couple to help illuminate things our media – corrupted by market forces to which truth must always play second fiddle – do their best to obscure. The first, of Russia’s semi-encirclement by Nato, I’ve used many times and make no apology for doing so yet again. It can never be viewed enough, as I ask you to consider a simple question: would Washington tolerate anything of the kind near America’s borders? The second I’ve used twice, as a corrective to the risible idea of the West’s regime change wars on the middle east – including that on Syria, checked by Russia to Washington fury – as driven by the desire to aid oppressed peoples. We are being lied to not just by rabidly rightwing organs but liberal media too. 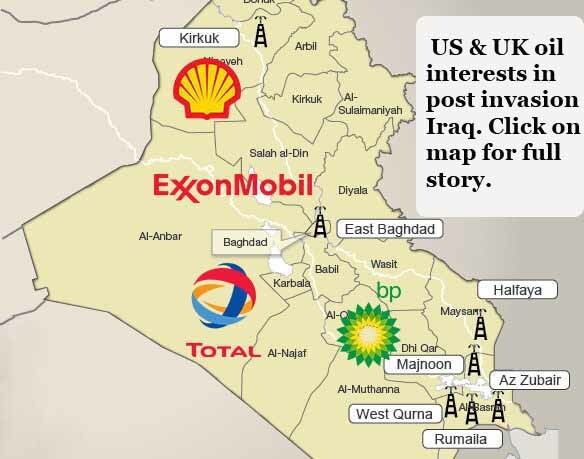 On matters vital to the West’s rulers and powers that be, media ownership matters less than does dependency on advertising or subscriber largesse. Hence that unity of voice on Russia, its criminal insanity lost on the credulous many, who see it as proof not of media corruption but fundamental truth on matters they have little inclination to question. For instance by demanding hard evidence of those with a long record of lethal mendacity. Or even by looking at a map, for crying out loud. With this in mind, do read this from Peter Korzun, four days ago in Strategic Culture. On Oct. 2, the ambassador proved it again. According to her statement, Washington is ready to use force against Russia. Actually, she presented an ultimatum — Moscow must stop the development of a missile the US believes to be in violation of the Intermediate-Range Nuclear Forces Treaty (INF Treaty). If not, the American military will destroy it before the weapon becomes operational. “At that point, we would be looking at the capability to take out a (Russian) missile that could hit any of our countries,” Hutchison stated at a news conference. “Counter measures (by the United States) would be to take out the missiles that are in development by Russia in violation of the treaty,” she added. “They are on notice.” This is nothing other than a direct warning of a preemptive strike. Speaking on Sept. 28 at an industry event in Pennsylvania hosted by the Consumer Energy Alliance, Interior Secretary Ryan Zinke suggested that the US Navy could be used to impose a blockade to restrict Russia’s energy trade. “The United States has that ability, with our Navy, to make sure the sea lanes are open, and, if necessary, to blockade… to make sure that their energy does not go to market,” he said, revealing that this was an option. The Interior Department has nothing to do with foreign policy, but Mr. Zinke is a high-ranking member of the administration. 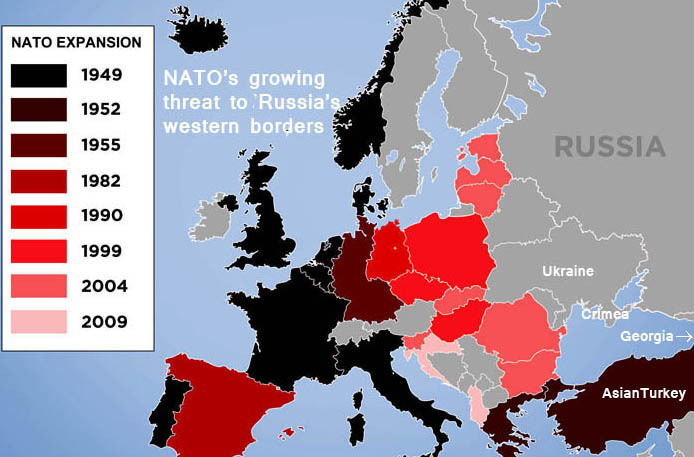 Russia is not the only country to be threatened with war. Attempts are being made to intimidate China as well. Tensions are running high in the South China Sea, where US and Chinese ships had an “unsafe” interaction with each other on Sept. 30. A collision was barely avoided. As a result, US Defense Secretary James Mattis had to suspend his visit to China when it was called off by Beijing. The security dialog between the two nations has stalled.